After starting his career in the sustainability industry, Justin Robertson, a DARE program alumnus, understands the importance of social responsibility in the retail space. After completing the DARE program, Justin is now a Store Manager, responsible for a $60 Million Walmart store with over 250 employees. 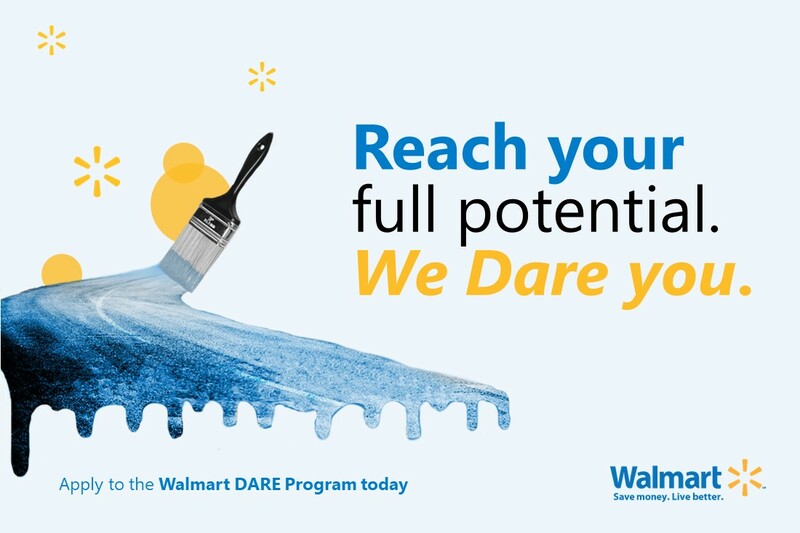 He credits his success to not only the DARE program but the company culture, philanthropic vision and meaningful employment at Walmart Canada. TalentEgg interviewed Jennifer Van Der Wee one year ago when she graduated from Walmart’s DARE program and began working at Walmart as a Manager of Strategic Vendor Management. Since then, Walmart Canada has been the springboard she needed to continue to develop professionally. We caught up with Jen who was happy to share her journey with us.